Joanne has been working at LDC as office manager since of the beginning of 2012, she will be happy to talk to you regarding any aspects of LDC Including training, workshop and sales. -	Tasha has been working for LDC since 2015 and completed her Level 2 customer service NVQ in the first year. She will be happy to help you with all aspects of LDC. Les is the owner of LDC and has been an Instructor since 1981. He trains all the Instructors that work for the company, and has helped many more get through check tests and their part 1, 2, 3 qualifying exams. Les is also the main trailer training instructor covering the B+E tests at our sites at Burton and Lichfield. Janet is a joint partner in LDC and is now mainly office based. Janet has been a qualified ADI for 20 years and as well as lessons, she covers Instructor training and developement, accounts and advertising, she is always on hand to give advise on any training requirements. Sandra has been an LDC Instructor since 2004 following her training with our company. She works Monday - Friday 9am - 5pm and covers the Burton, Swadlincote and Barton-under-Needwood areas. Sue joined our team in the beginning of 2018 and passed her ADI part 3 with us in August 2018. She works Monday-Saturday covering Burton and the surrounding areas. Jon is a Suzuki trained technician who is also an ex Suzuki apprenticeship officer with many years racing experience. He will be happy to discuss any technical issues or workshop requirements. Danny joined our team in May 2017 and is currently completing his level 2 mechanics apprenticeship. He is always happy to discuss anything regarding the workshop or repairs. Steve has been at LDC since the beginning of 2011, he is a fully qualified bike DAS and CBT instructor as well as a trained B+E instructor and HGV driver. Steve is also a fully qualified motorcycle technician. Dave was previously a policeman, he retrained and qualified as a Motorcycle DAS instructor in 2010. Dave is also a trained trailer instructor for B+E. He covers both areas of training with trailer training available Monday - Friday and Motorcycles available 7 days a week. He covers both Burton and Uttoxeter sites. Tom joined out team in 2018 and is a qualified CBT instructor. He works weekends at both our Burton and Uttoxeter site. Tony has been at LDC since 2014 he has been a qualified bike instructor since 2006. He was previously on the enhanced rider scheme and has a degree in enhanced riding. He covers 7 days a week and is always happy to help. 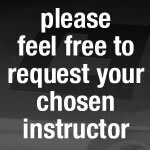 Gary is a fully qualified bike CBT and DAS instructor who has been with us since 2014. Gary works weekends at both Burton and Lichfield sites. Karl joined the LDC team in 2018 and is a fully qualified CBT and DAS instructor. Karl runs our Uttoxeter site Monday-Saturday.